Billionaire Wilbur Ross made much of his wealth betting on distressed assets and bankruptcies. According to Forbes, the investment manager has a real-time net worth of $3.0 billion, ranking him 215 on the list of the wealthiest people in the United States. 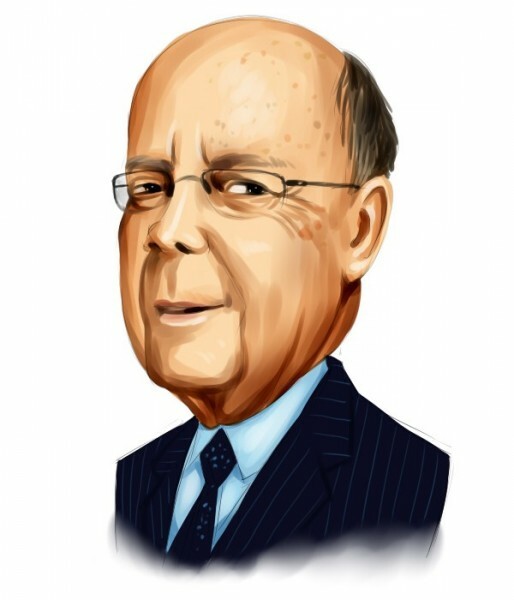 Wilbur Ross is the Chairman and Chief Strategy Officer for WL Ross & Co. LLC, private equity subsidiary of Invesco Ltd. (NYSE:IVZ). The investment firm reported a public equity portfolio worth $791.05 million in its latest 13F filing with the SEC. Invesco Private Capital‘s top four equity positions were in banking and finance companies, including Navigator Holdings Ltd (NYSE:NVGS), Talmer Bancorp Inc (NASDAQ:TLMR), and Sun Bancorp, Inc. /NJ (NASDAQ:SNBC), and we’ll take a look at these stocks in this article. We don’t just track the latest moves of funds. We are, in fact, more interested in their 13F filings, which we use to determine the top 15 small-cap stocks held by the funds we track. We gather and share this information based on 16 years of research, with backtests for the period between 1999 and 2012 and forward testing for the last 2.5 years. The results of our analysis show that these 15 most popular small-cap picks have a great potential to outperform the market, beating the S&P 500 Total Return Index by nearly one percentage point per month in backtests. Moreover, since the beginning of forward testing in August 2012, the strategy worked brilliantly, outperforming the market every year and returning 118%, which is more than 60 percentage points higher than the returns of the S&P 500 ETF (SPY) (see more details). Navigator Holdings Ltd (NYSE:NVGS) is the top equity investment of Invesco Private Capital, which held 21.86 million shares valued at $414.10 million. The stock position accounts for 52.34% of the overall equity portfolio of the firm. Navigator Holdings Ltd (NYSE:NVGS) is an operator of handysize liquid gas carriers, with a fleet of approximately 26 carriers. The oil transport company announced its second quarter financial results on August 3, reporting earnings per share of $0.48 over revenues of $84.1 million. The market was expecting earnings per share of $0.46 on revenues of $73.3 million. Navigator Holdings Ltd (NYSE:NVGS) reported 10.6% year-over-year growth in its quarterly revenue. Among the hedge funds that we track at Insider Monkey, 15 had equity positions worth $497.65 million in the company at the end of the second quarter. Clint Carlson’s Carlson Capital was another major shareholder of the company, holding 999,669 shares valued at $18.93 million. Citadel Investment Group, led by Ken Griffin, sold out over 50% of its stake in the company, closing the quarter with 114,353 shares valued at $2.17 million.